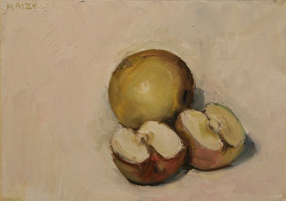 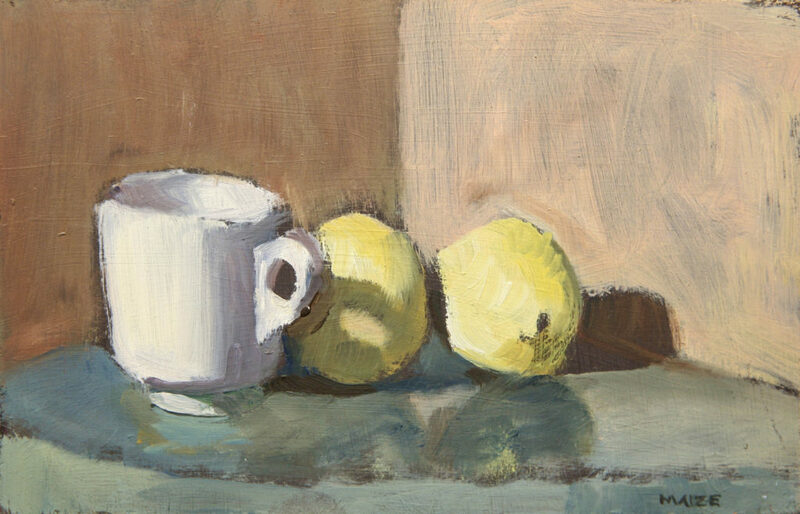 Catherine Maize’s still life paintings hover carefully on the line between realist and abstract. 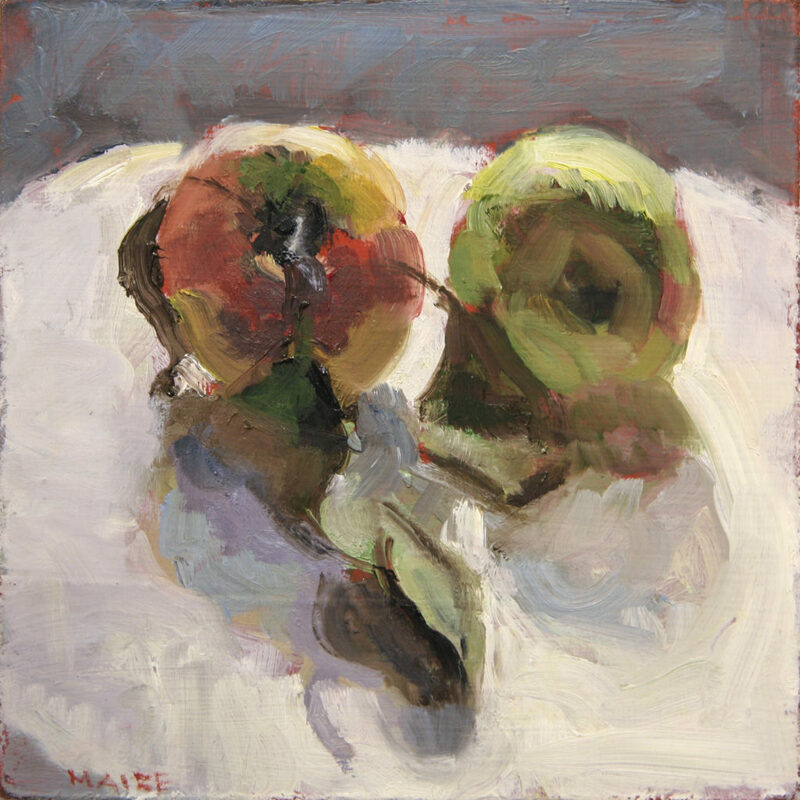 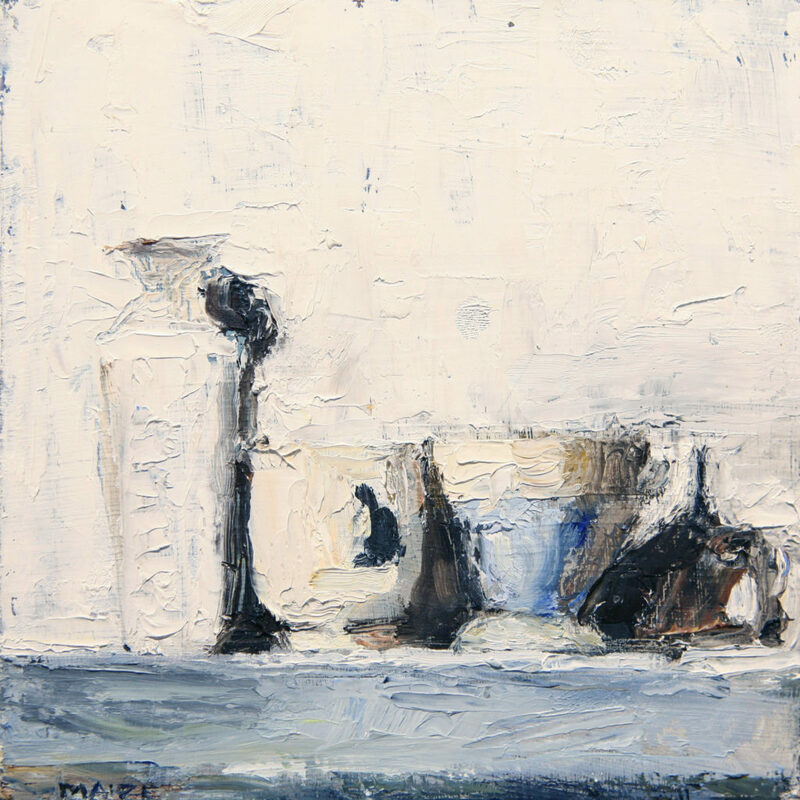 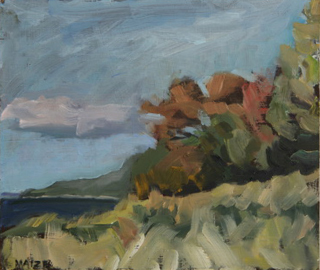 Her work is created from an interest in the abstract composition found within a skillfully composed still life. 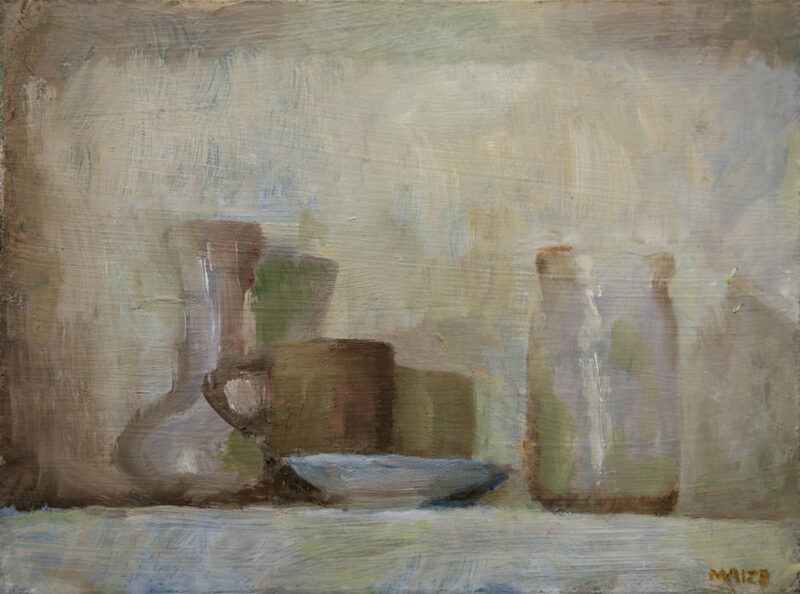 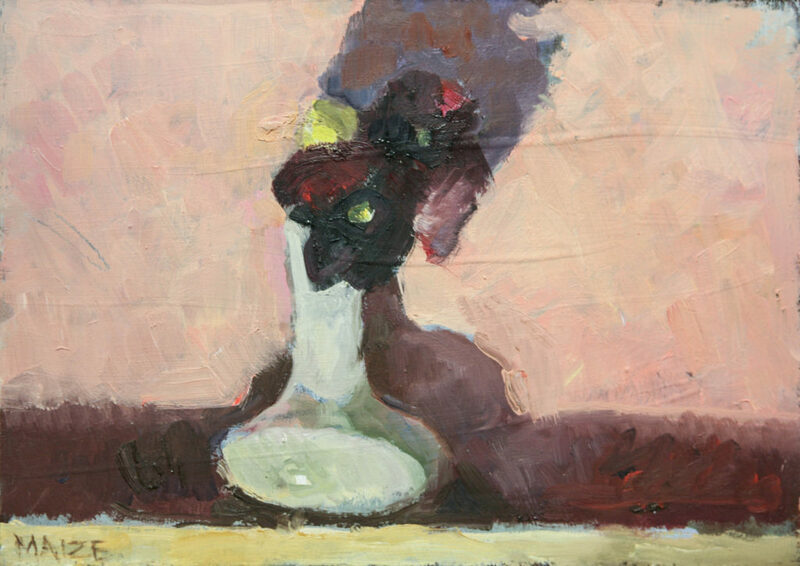 She constructs her still life arrangements with an attention to the character of the individual objects, controlling the space surrounding the objects with positive attention. 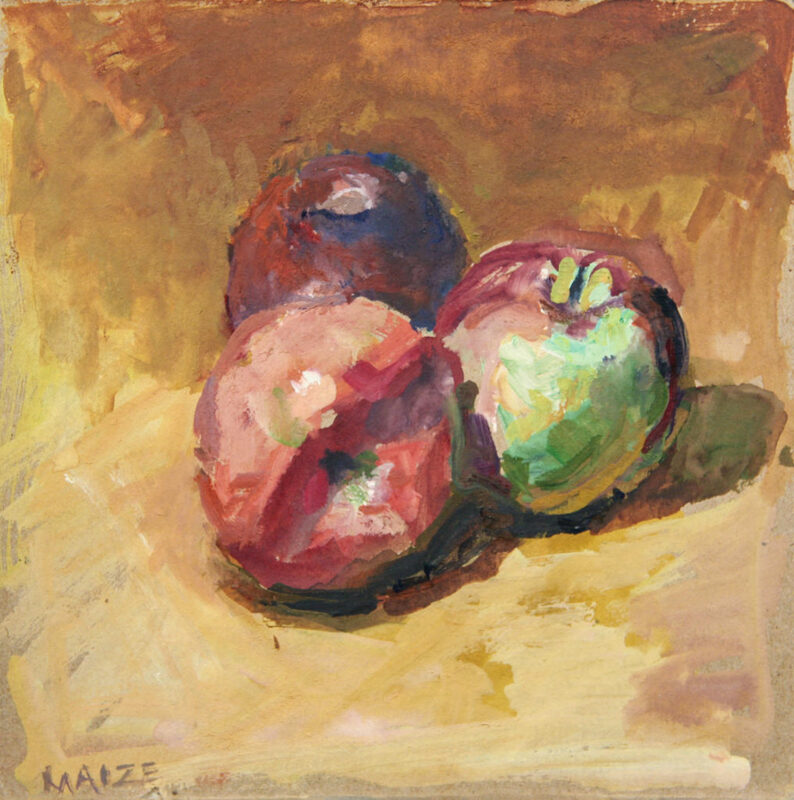 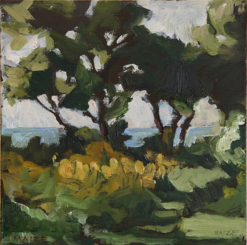 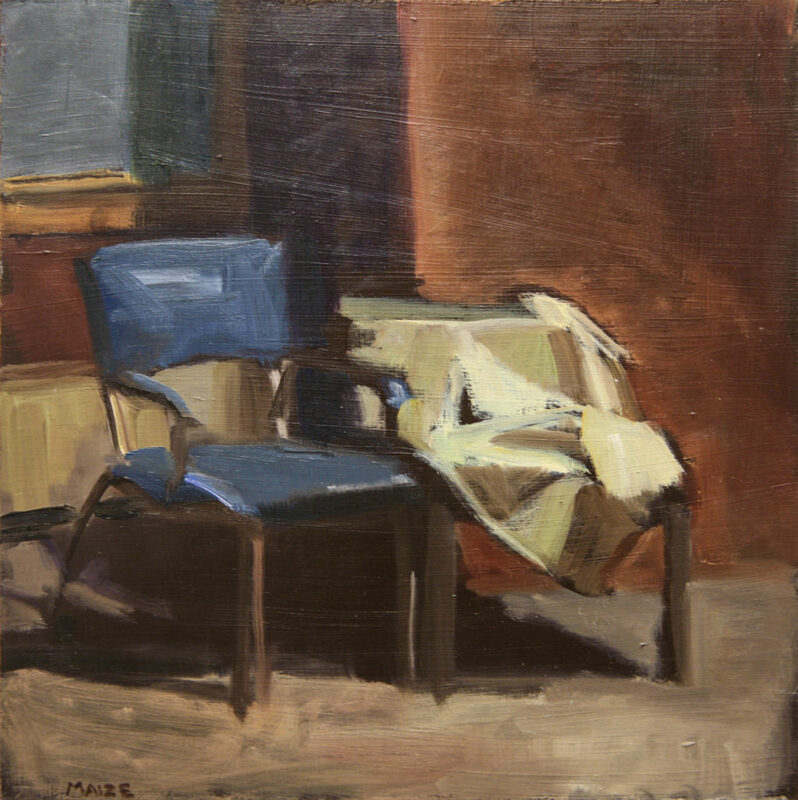 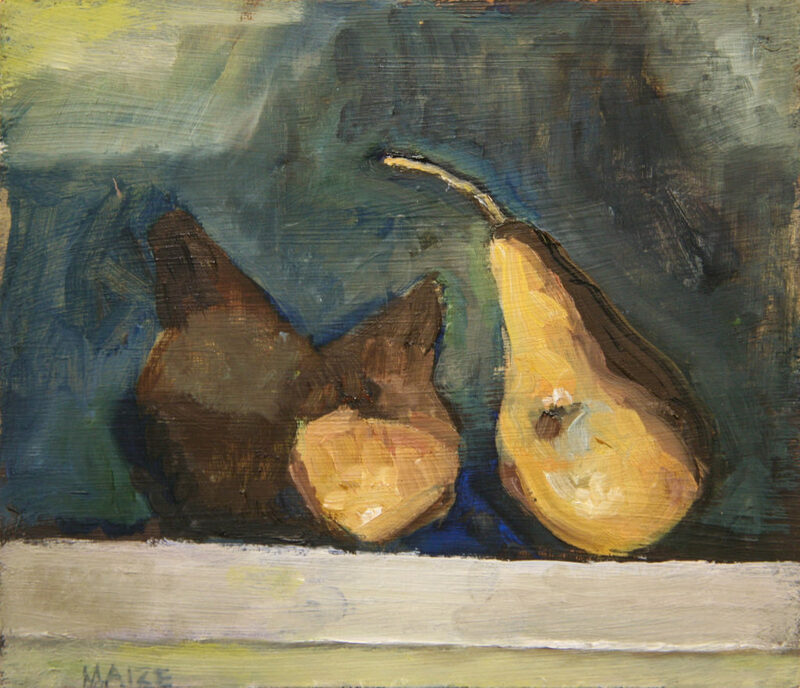 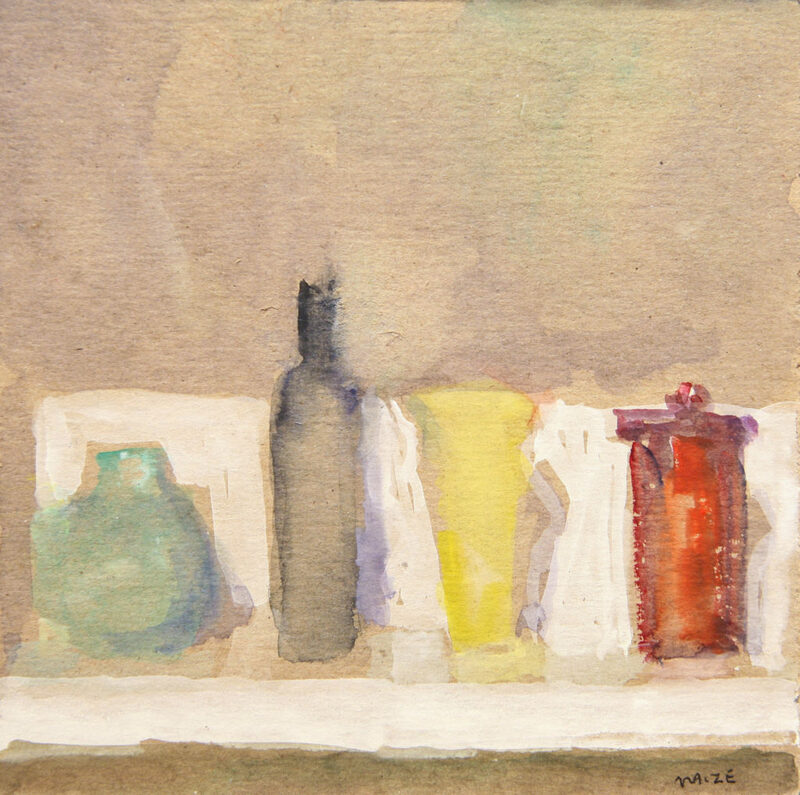 Maize considers her composition without the notion “negative space”, instead she creates relationships between the depicted objects with muted color. 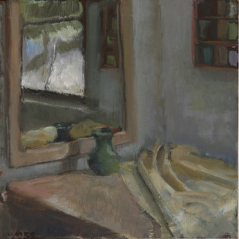 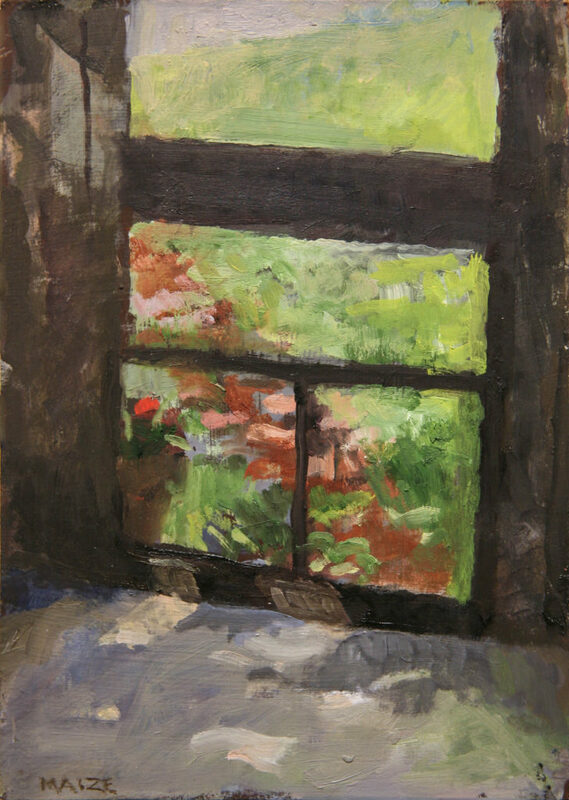 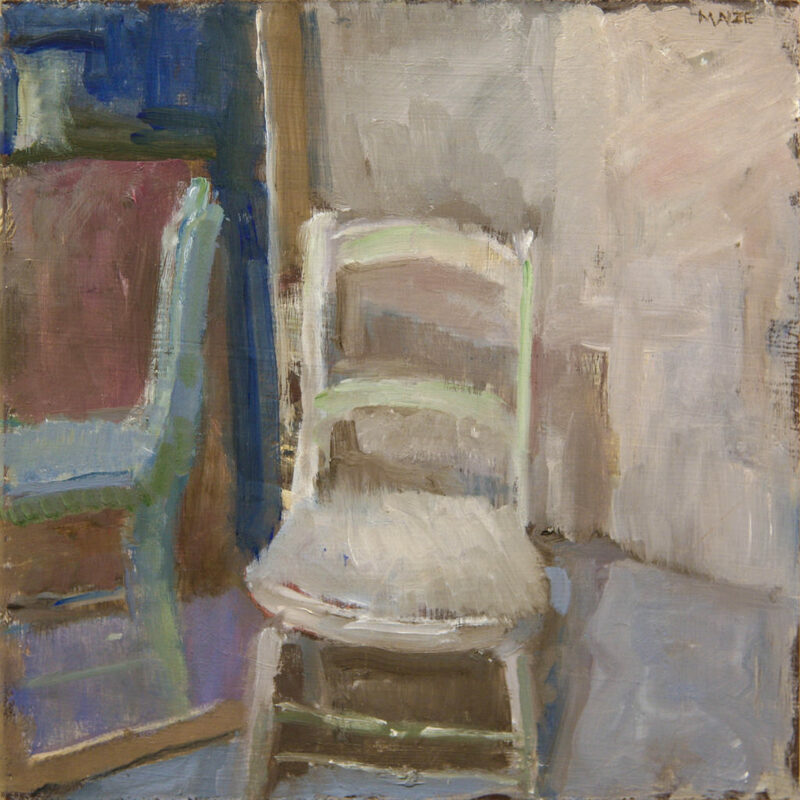 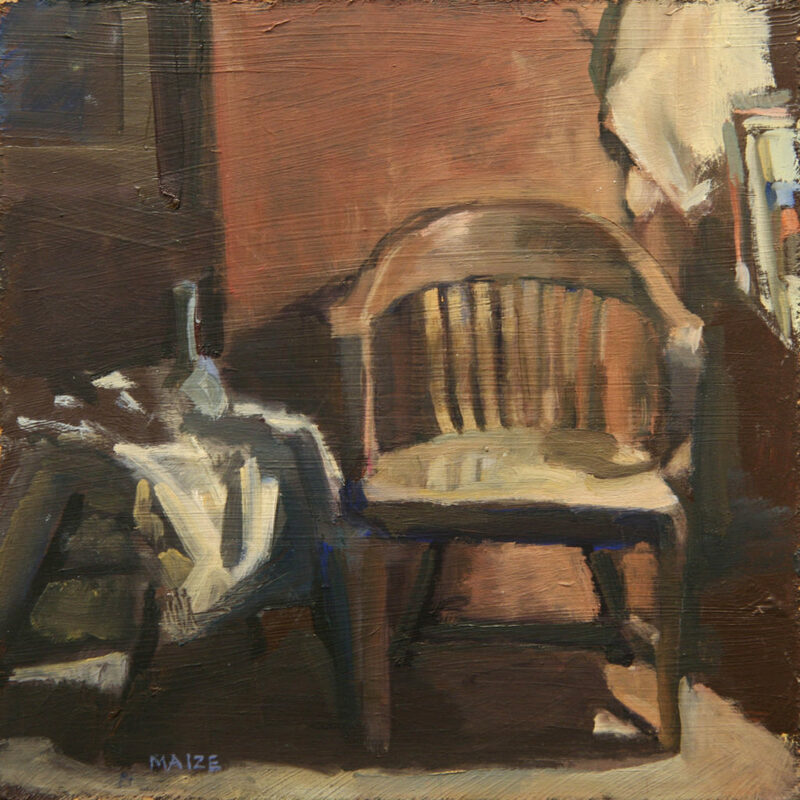 Her small panels, almost always less than twelve inches in either dimension, invite peaceful observation, just like the air in her paintings of quiet rooms, whose isolated chairs act as surrogates for the artist. 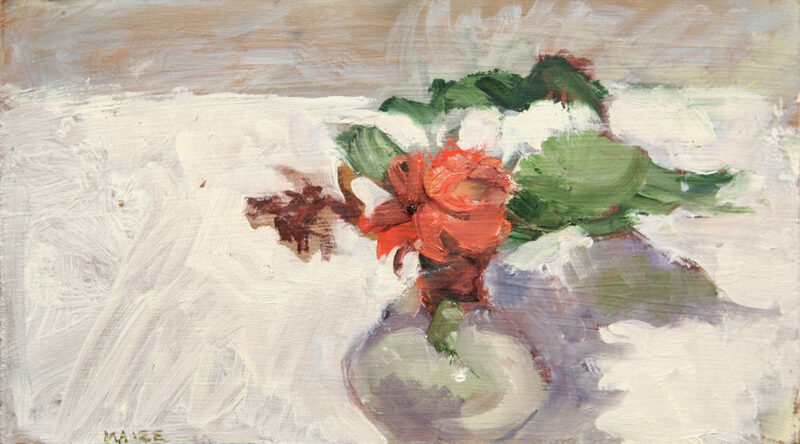 Begonias, oil on board, 5"x9"
Untitled, oil on board, 5"x9"
Door, oil on board, 5"x7"
Version, oil on board, 6"x6"
Studio Chair, oil on board, 7"x7"
White Vase Pansies, oil on board, 5"x7"
Cup and Two Lemons, oil on board, 4.5"x7"
Three Pears, oil on board, 6"x7"
Chair, oil on board, 7"x7"
White Chair and Mirror, oil on board, 7"x7"
Two Apples, oil on board, 6"x6"
Exterior/Interior, oil on board, 5"x7"
Meadow, oil on board, 6"x6"
Michigan Beach, oil on board, 6"x6"
Studio Corner, oil on board, 7"x7"